Sell My House Fast Raleigh NC | We Buy Houses | Cash Home Buyers Need To Sell a House Fast Raleigh North Carolina? We Buy Houses in Raleigh and surrounding areas in NC! When people begin thinking about selling their home in Raleigh, upgrades can be a first step many people take. However doing too much, or upgrading things that don’t provide much return can be a waste of time and money. We have put together our list: of 3 upgrades to invest in and 3 to forget about. A fresh coat of paint can easily brighten up and revive a room. Try to stick with neutral colors and add in pops of color elsewhere, such as throw pillows or artwork. Painting is a relatively low-cost upgrade that can have a big impact. Plus a fresh coat of paint will cover and dings in the wall, nail holes, etc. You might have heard that an upgraded kitchen and bathroom are two of the best areas to focus on when upgrading your home. However, you can do some smaller upgrades that will make a big impact without costing a fortune. 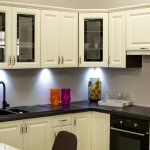 New faucets, drawer pulls and resurfacing your cabinets are affordable ways to revitalize the space. Some appliance manufacturers sell new and alternate colored faceplates. For example, swapping out the front of your dishwasher to match the other appliances is a great way to save money and tie things together. You can take the same principles to give your bathroom a quick makeover. Vinyl tiles can go on the floor, right over what you currently have. Do a deep cleaning of the grout, and re-grout if needed. Fix any cracked tiles or broken hardware. (Wobbly towel racks, etc.) Another option to a complete shower renovation is to install a pre-fab cover. This is much cheaper than doing a whole shower overhaul. Planting some flowers out front or covering dirt with a pretty, fast spreading ground cover will give your home instant curb appeal. If needed, have trees and bushes trimmed and keep the lawn mowed nicely. Depending on your climate, you can plant succulents or lay down pretty rocks to keep the space well maintained, but low-maintenance. Maybe throw a fresh coat of paint on the mailbox or hang up a bird feeder and some hanging plants. Small touches and a well-groomed yard will draw anyone in. This can turn into a major project that can be both expensive and time-consuming. The numbers show you won’t end up getting back anywhere close to what you put into it. Overall, most homebuyers will want to fix up the space to their taste anyhow. Maybe they want an open game room, or to add a couple of extra bedrooms. When pricing the home, account for the unfinished space and let buyers know that is reflected in your pricing. Again, this can be very pricey, without much return. If you have an open area, use plants or pavers to tidy up and beautify the space. If the new homeowners want to build a deck, they can do so, but with their tastes and specifications in mind. Adding a pool can cost a fortune, without providing a huge increase in what you will be able to ask for the home. In addition, a pool may actually deter buyers. Prospective buyers with small children may worry about safety and many people may not want to worry about the hassle and upkeep of maintaining their own pool. Don’t waste your money with a complete overhaul unless it is absolutely necessary due to water or fire damage. The cost does not make sense, especially when homebuyers will have their own tastes. Many homeowners would prefer a credit to the home price allowing them to upgrade on their terms. In summary: Don’t over-improve… keep it simple! Get Your Fair “AS-IS” Cash Offer: Start Below! Will Selling Cost You Money in Raleigh? We buy houses in North Carolina. We are a local real estate solutions and investment company in Raleigh, NC that specializes in helping homeowners get cash for houses and sell burdensome houses fast in: Wake County, Raleigh, Durham County, Cary, Apex, Holly Springs, Garner, Fuquay-Varina, Clayton, Knightdale, Wake Forest, Wendell, Zebulon, Rolesville, Johnston County and surrounding areas. We are cash home buyers, real estate investors, and problem solvers who can buy your house fast with a fair, all cash offer. We buy houses in NC and pay cash for houses anywhere in the Triangle NC area.